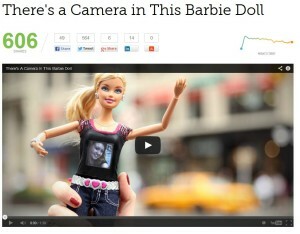 Here is a cool thing I have just seen on Mashable – a Barbie doll with a camera in it. Here is not such a cool thing – a Barbie doll with a camera and an embedded SIM or RFID, and then maybe a microphone thrown in for good measure. Barbie can now apply for a job at the NSA. Welcome to the Internet of Things.